Route 33 between Routes 191 and 248 will experience lane restrictions in both directions for line painting and reflector installation. Expect delays and use caution driving through the work zone starting November 10 and ending November 14 between the hours of 9:00am and 3:00pm. Recently, Faith United Presbyterian Church in Pen Argyl honored the volunteers of their on-going Saturday hospitality lunches. “We have just completed our fifth year of raising funds and preparing meals” said Diana Newman, one of the coordinating volunteers at Faith church. This year to celebrate the group’s fifth year anniversary Faith United session members turned the tables on this group and served them lunch in a ceremony held after services. Many of the bunch that make the “Lunch with our Bunch” so special were also in attendance. To Book: Call & mail check (payable to Lynn Altemose) to Lynn Altemose 412 Garibaldi Ave. Roseto, Pa. 18013. 484-375-5161 or Donna Kelton 582 Five Pts. Richmond Rd. Bangor, Pa. 18013 610-417-5550 or 610-588-7786. On Sunday, November 9, the Slater Band Boosters will host a Band Bingo fundraising event at the Blue Valley Farm Show auditorium with all proceeds being used to benefit instrumental students of the Bangor Area School District. Prizes include items from Longaberger, Vera Bradley, Coach, Thirty-One, as well as Alex & Ani. There will be 20 games of bingo, as well as five special raffles, a large tricky tray, a 50/50 drawing, and door prizes. Tickets are $20.00 in advance. Doors open at 11 am and the games begin at 1 pm. Anyone attending must be 18 years of age or older. For ticket information, you may call (610) 588-4385 or email bangorbandbingo@gmail.com. State Rep. Marcia Hahn (R-Bushkill Township) will unveil signs 1:00pm Monday, November 10, designating Bushkill Center Road from State Route 512 to Jacobsburg Road as the Veterans Memorial Highway. The unveiling will take place at the intersection of PA Route 512 and Bushkill Center Road. Parking will be available in designated areas adjacent to the intersection. The designation is the result of House Bill 2099, legislation authored by Hahn that was signed into law as part of Act 124 of 2014. A number of local veterans are scheduled to attend and Hahn inviting to the ceremony any men and women who served or are serving our country. The East Bangor United Methodist Community Church will hold a "Gertrude Hawk" candy fundraiser for Christmas. Many new items are featured. For more info., call Diane at 610-588-2397. The deadline for ordering is Sunday, November 16th. Safe Haven Pet Rescue will hold dog adoption days from 11 a.m. To 3 p.m, on Sunday,November 2 at Tractor Supply,Broadheadsville. Best way to handle aggressive drivers? BPT) - Aggressive drivers speed, drive too fast or carelessly, change lanes without warning, cut off other vehicles, tailgate and pass in ways that endanger others. Aggressive driving likely causes “a substantial number” of the 6.8 million crashes that occur every year on American highways, the National Highway Traffic Safety Administration (NHTSA) says. Everyone is aware of aggressive drivers, but you may be surprised to learn how many people think that other drivers are the only offenders; the truth is that most drivers should take a closer look in the mirror – aggressive drivers may be closer than they appear. Eighty-five percent of motorists describe other drivers’ behind-the-wheel behavior as aggressive, yet only 36 percent admit their own driving is aggressive, according to a survey by Safeco Insurance. Despite that discrepancy, the survey also revealed wide-spread agreement on two important points: 82 percent said they experience negative feelings because of how other people drive, and 72 percent said they would welcome the chance to improve the driving experience for everyone and make at least one change to their own behavior. Recognizing the need to reduce aggressive driving, Safeco launched a “Drive it Forward Fridays” movement. Drivers can visit www.safeco.com/diff, or use the hashtag #DIFF, to pledge to be more courteous drivers, and to share how they’re making positive changes to their driving habits. The survey also identified behaviors that, if stopped, would make driving more pleasant for everyone. This includes cutting off other drivers (59 percent), using high beams toward oncoming traffic (57 percent) and tailgating (56 percent). * Aggressive drivers cut off other motorists, tailgate, have unnecessary and excessive use the horn, speed and change lanes rapidly. If these behaviors describe your driving habits, resolve to make a change for the better. * Model good driving behavior by being friendly and courteous on the road. Your good behavior can inspire others to be courteous as well. Give up a parking spot, and when it’s safe to do so, allow other drivers to move into your lane. * Accept that some undesirable road conditions, such as heavy traffic, slow drivers or excessively fast ones are a normal and unavoidable reality of driving. If you normalize these irritations, you’re less likely to be frustrated by them. * Don’t take it personally. A driver who cut you off was likely just being thoughtless, and didn’t intend to anger or endanger you. Consider other explanations; perhaps the driver is traveling to an emergency or simply didn’t see you. In addition to improving your own behaviors and encouraging others to do so, too, avoid antagonizing aggressive drivers. NHTSA recommends you do your best to get out of the way of aggressive drivers and don’t encourage them by speeding up or attempting to block them. Avoid eye contact and ignore rude gestures – in short, don’t encourage bad driving behavior by behaving badly yourself. A teenage check-out worker at a Target chain store in Texas has become an overnight sensation after a customer posted a photo of him on Twitter. The picture of Target employee Alex spawned hundreds of memes on Twitter and giving him thousands of admiring followers. Soon, Twitter users soon took interest in the young Texan and the global trend #alexfromtarget took off. The hashtag has been used over a million times and memes have gone viral as users wondered: "Who is Alex from Target?" The trend seemed to take Alex - who has been described as a Justin Bieber look-alike - by surprise. Some memes showed a horde of customers crowding Target under the tagline: "Tomorrow when #alexfromtarget starts his shift". A Buzzfeed quiz asked readers: "How 'Alex From Target' Are You?" On his own profile, Alex wrote: "Am I famous now?" He even got a message from Ellen DeGeneres. "Hey #AlexFromTarget, it's #EllenFromEllen", the comedian and talk show host tweeted. Target jumped on the bandwagon, too, tweeting: "We heart Alex, too." The Bangor & Roseto American Legions, Veterans of Foreign Wars, and Order of the Elks will be holding a Veterans Day remembrance ceremony on Tuesday November 11th at 10am at Bangor Memorial Park on Eisenhart Blvd, Bangor PA by the pool entrance. The Liberty-Water Gap Trail PA Extension committee will meet 7:00pm Wednesday November 12 in the William Pensyl Social Hall in Portland. The L-WGT is envisioned to connect Liberty State Park in Jersey City, N.J. with Delaware Water Gap, PA.
Members will discuss the recreational, health, and economic values of the trail and the partnerships involved, including the 911 Memorial Trail Association. In observance of Veterans Day, Northampton Community College will present a talk by guest speaker Joseph Arata, Chief Strategic Recruitment, Department of Homeland Security/Immigration and Customs Enforcement. The program will be held on Thursday, November 13, from 11 a.m. to 12:30 p.m. in the David A Reed Community Room at NCC’s Main Campus in Bethlehem Township. For additional information contact: Karen Brewer @ 610-588-8615. 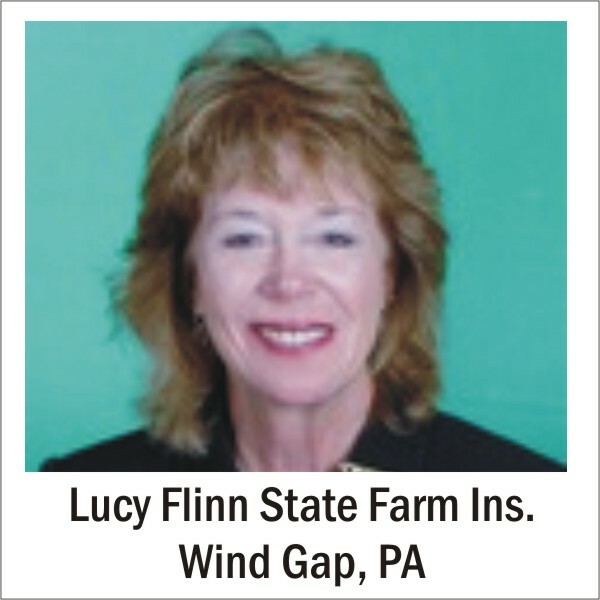 Please Call Mary Lou Derea-lohman at 610-86304846 or 610-844-4630." Fourth through Sixth Grade students will hold a concert at Faith Christian School November 14 from 7:00 pm – 9:00 pm. COPS ‘n’ KIDS AND YOU . . .
As a result of the kindness and commitment of the entire community, the award-winning Cops ‘n’ Kids Children’s Literacy Program has distributed more than 619,000 free books thus far. This program pairs children (pre-school through middle school) with new or gently used books that have been donated by individuals and organizations from throughout the Lehigh Valley. In many cases, the books are the first that the children have to keep as their own. This is all made possible as a result of an amazing “spirit of giving” in our community. If you wish to donate please see below for the drop off location site. The book drive will run through November 14th that you are welcome to contact Bowman at 610-599-7013. Visit their website at www.copsnkidslv.org. Northampton Community College (NCC) will hold its 13th annual youth chess tournament for children ages 18 and under on November 15, 8:00 a.m. - 5:00 p.m., at the David A. Reed Community Room, Main Campus, 3835 Green Pond Road, Bethlehem Township. Participants will be able to compete in five rounds, rated and unrated. Trophies and prizes will be awarded. The cost is $30 with pre-registration by November 13 or $35 at the door. To register, visit www.northampton.edu/lifelearn. For more information about this and other youth programs at NCC, go to www.northampton.edu/Horizons-For-Youth/Special-Events-and-Partnerships or call 610-861-4120. Come on over and start making some of your Christmas Cards. You can start here, Supplies will be available for $20 a person and you take home 20 cards. If you can't finish them that afternoon, they will get you prepped cut and stamped. All you have to do is assemble what you didn't finish at home. If you have supplies, bring them over and play with us for free. Saturday, November 15th 8:00 a.m.-3:00 p.m. Hiking is more than putting on a pair of boots and walking in the woods. It’s a lifelong recreational activity that can increase one’s stamina, endurance and athleticism. It’s also the basis of numerous other recreations including backpacking, orienteering and geo-caching. Learn how to enable your students to discover Penn’s Woods through an interdisciplinary set of lessons for teachers created by the PA Bureau of State Parks. Lessons focus on health, fitness and trip planning; map reading and identifying local trails; forest ecology as well as nature journaling. The lessons meet several Physical Education & Health standards as well as standards for Geography, Science & Ecology and the Humanities. As part of this workshop teachers will receive lessons, ACT 48 hours and access to loaner equipment to help incorporate outdoor recreation education into their school. The cost of the workshop is $20 payable to the Commonwealth of Pennsylvania. To register, contact Lauren Forster at laforster@pa.gov or 610-746-2801. You’re invited to join Totts Gap Art Institute for its third Annual Scholarship Dinner to be held from 6-10pm, Saturday November 15. The cost is $50 per person. 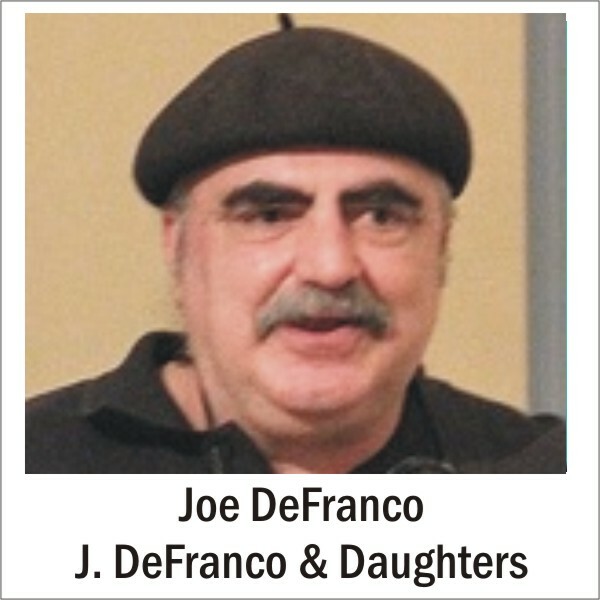 With music by the incomparable Vicki Doney, the event will be filled with dinner, catered by J. DeFranco & Daughters, conversation and a silent auction of original art. It is a great opportunity to meet others in the community who want to make a difference. With our scholarship demands doubling in the past year, your support is more important than ever. They truly hope to see you there! RSVP by November 7. Remit payment by check or PayPal. Visit TottsGap.org or call 610-588-5817. The second annual Toy Bingo will be held at Hope UCC in Wind Gap Saturday November 15. Doors open 11:00am, bingo starts 1:00pm. The cost is $15.00 in advance and $20.00 at the door. Adults and children are welcome to play. There will be 15 paper games and each game has a three chance to win. The kitchen will be open to purchase lunch, snacks and drinks. Prizes include toys, games, gift cards, etc. plus a grand prize basket. Doors prize will also be awarded, Other activities include a silent auction and a 50/50 drawing. The Jacobsburg sixth annual Day of Wreath Making will be held at Bushkill Fire Co November 15. Doors open 11:00am. Everyone is invited to them. The cost is $45.00 which includes materials and instructions how to create beautiful wreath. Pre-registration is required. Space is limited. First come - first served. Food for sale from the fire company. To register click on this link: http://www.jacobsburghistory.com/news/events/2014-wreath-making-event/ . Then click for the registration form. Humble Hearts for Hope will sponsor a Flapjack Fundraiser at Applebees on Rt 248 November 15 from 8-10am. UNLIMITED pancakes, syrup, butter, link sausage and a beverage choice including coffee, orange juice, soda and tea. 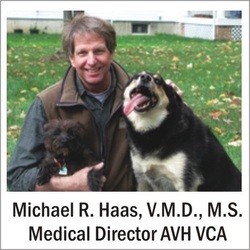 Come to Cherry's Sunset Restaurant, Route 209, Kresgeville at 6:30 PM on Tuesday, November 18 for a bite to eat and meet the volunteers of Safe Haven Dog Rescue. For more information about Safe Haven, and to find Volunteer and Foster applications, please visit www.SafeHavenPa.org . 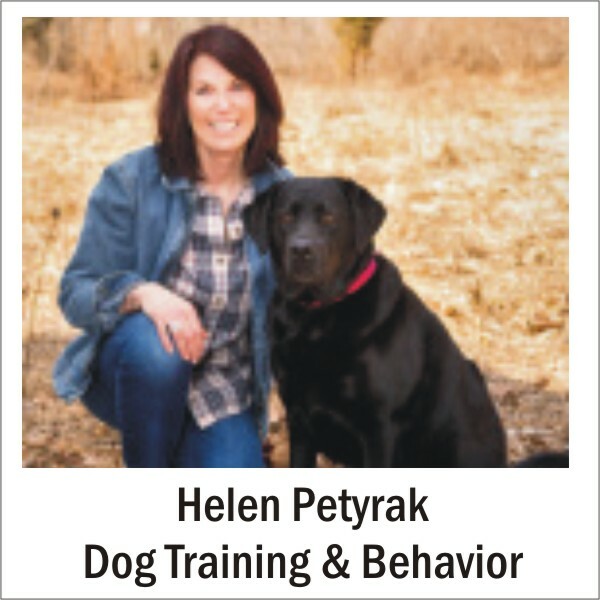 Contact Safe Haven at SafeHaven@epix.net. Join Safe Haven Pa on Facebook. November 18, and December 18 at 3:30 p.m. and on December 2 at 11:30 a.m. The tours last approximately two hours. Sarah Thatcher of Pen Argyl is among the cast of Northampton Community College's The Importance of Being Earnest by Oscar Wilde November 20 – 24 at the Norman R. Roberts Lab Theatre, Kopecek Hall, Main Campus, 3835 Green Pond Road, Bethlehem Township. The play tells the story of two friends in 1890s London who intentionally use the same pseudonym for their on-the-sly plans. Performances are November 20, 21, 22, and 24 at 7:30 p.m. and November 23 at 3:00 p.m. Tickets are free with a donation of nonperishable foods for a local food bank or a contribution to the Norman R. Roberts Scholarship Fund. Early ticket reservations are strongly recommended because of limited space. To reserve tickets, call 610-861-5524 or e-mail NCC_theatre_tickets@northampton.edu. The director is Laura Johnson. The Slate Belt Young at Heart Club Will Be Having their All Veterans and Present Military, and Their Families, for All That They Have Done, and Continue to Do So, to Protect and Keep Us Safe. Bill Nixon, Also a Veteran, Will Give the Keynote Speech. This Program Is Open to All of the Slate Belt and Surrounding Areas, including Nazareth, Saylorsburg, Etc. For More Information, Please Call Mary Lou Derea Lohman at 610-863-4846 or 610-844-4630 or Minnie Thomas at 610-863-5689. The East Bangor United Methodist Community Church will hold its annual Christmas Bazaar on Friday, November 21 from 5:00 p.m. to 8:00 p.m.. There are handcrafted Christmas gifts and ornaments, "white elephants", Fall items, hand-knitted items, jewelry, baked goods, jams & jellies, and door prize drawings. A light lunch and soup will be available. Friday, November 21th 7:00-8:00 p.m.
White-nose syndrome (WNS) is an emergent disease of hibernating bats that has spread from the northeastern to the central United States at an alarming rate. Since the winter of 2007-2008, millions of insect-eating bats in 25 states and five Canadian provinces have died from this devastating disease. The disease is named for the white fungus, Pseudogymnoascus destructans, that infects skin of the muzzle, ears, and wings of hibernating bats. Join Dan Mummert, Wildlife Conservation Officer for the PA Game Commission as he talks about this devastating disease and how it is affecting bats in Pennsylvania. To register, contact Rick Wiltraut at rwiltraut@pa.gov or 610-746-2801. The East Bangor United Methodist Community Church will hold its annual Christmas Bazaar on Saturday November 22 from 10:00 a.m. to 2:00 p.m.
A Holiday Benefit Concert featuring the rock band Twelve Twenty Four, sponsored by the Slate Belt Chamber of Commerce, will be held Saturday November 22 at 7:30pm in the M. Craig Paine Performing Arts Theatre, at Bangor High School, Five Points Richmond Road. Proceeds for this event helps benefit the opening of the Slate Belt YMCA. 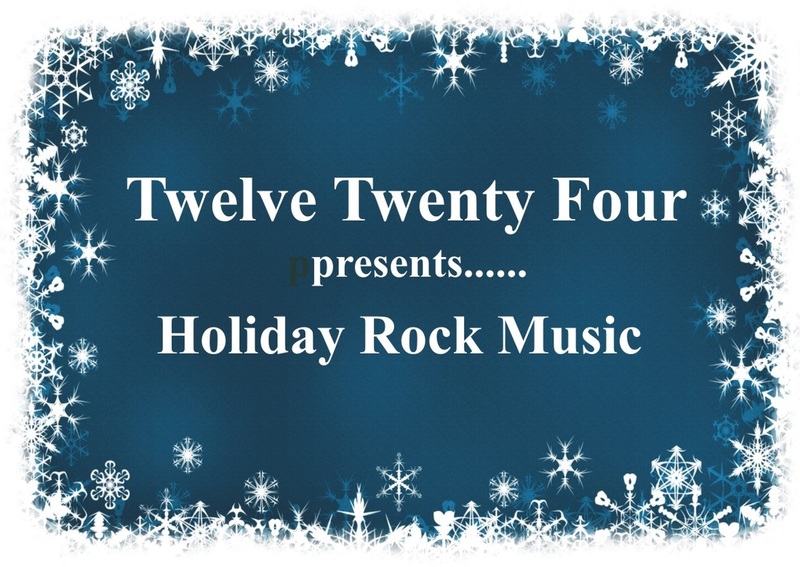 Twelve Twenty Four's performances feature the music of the Trans-Siberian Orchestra, as well as their own holiday creations. With a total of seventeen performers – a six-piece rock band, four-piece string section, six lead vocalists, and an angel storyteller – Twelve Twenty-Four brings alive the magic of Christmas at each show. Dirk Yahraes, a Pen Argyl native, plays bass guitar for the band. He has also performed as the orchestral bass player for the Bangor Elks Men’s Chorus annual variety show. Tickets: $20/person Tickets are available at:Local Merchants Banks, Lucy Flinn:State Farm, Wind Gap, Nazareth YMCA 610-759-3440,Slate Belt Chamber 610-588-1000. If you have any questions regarding the concert please contact Jill A'Hearn at jillahearn@slatebeltymca.org, or 610-759-3440. Mount Eaton Church's Ladies Fellowship will be holding a Christmas Market and Bazaar on November 22 from 9am until 3pm. Available items include;Bake Sale, Craft Items , Flea Market Items, Homemade Soups, Sandwiches, Salads, Desserts and more. Open mic Night will held at the Red Thread Cafe November 22 from 7-10pm. Participants should arrive at 6:30 to sign-up to,play. The Red Thread Cafe is a non-profit neighborhood coffeehouse space at Hopesprings Community of Faith, 301 Market St. in Bangor, that features fair-trade coffee, art, live music, and community gatherings. The Pen Argyl PTA is excited to announce an upcoming craft and vendor show, to be held at Plainfield Elementary School Saturday, November 22 from 9am -3pm. The show will include over 25 vendors and crafters. Food and beverages will also be available to purchase throughout the day. Proceeds will benefit children from all schools in the Pen Argyl District. Prices are as follows; $25.00 for an 8ft table, $30.00 for an 8-foot table and extra floor space, $40 for two 8-foot tables or a larger space. Any questions, comments or suggestions can be sent to siannestatile@gmail.com. “Surviving the Holidays” is a free one-day session being hosted by GriefShare bereavement support group on Sunday, November 23, 2014 from 3:00-5:00 PM. The session will be held at Mount Eaton Church in Saylorsburg, PA. Childcare is available upon request. For more information or to register, please contact the church office at (570) 992-7050 or office@mounteatonchurch.org. Directions to the church and more information about GriefShare may be found at mounteatonchurch.org. On Sunday, November 23, come to Tractor Supply, Route 209, Brodheadsville from 11- 2, to meet some of the beautiful loving dogs that Boomer's Angels have for adoption! Boomer's Angels Rescue & Care is a new group in Northeast Pennsylvania that rescues and rehomes dogs, cats, bunnies and critters. To find more information, visit www.BoomersAngels.com and find us on Facebook. Call (570) 350-4977. Holiday Bingo with a $300 payout, sponsored by the Ladies Auxiliary of Washington Township Volunteer Fire Co..will be held Sunday November 23 at the fire co. Doors open at 11:am. Bingo begins at 12:30pm. In addition to the $300 jackpot there also will be a tricky tray, 50/50, and door prizes. Call for tickets: Shirley Thomas 484-661-7187, Ruth Hahn 610-588-7402, Donna Eberle 484-298-0912 or Sandy Wambold 610-588-9976 (cell) 610-462-5611. A Thanksgiving Pie Sale will be held at Christ Evangelical Lutheran Church, 703 S. Delaware Dr. (Route 611), Mt. Bethel (Stone Church) on Wednesday, November 26th. Pick up between 11am and noon. The cost is $10 per Apple or Pumpkin pie. Orders are recommended and can be placed until November 23rd. To place your order or for additional information call Chrissy at 610-599-0809. The Ladies Auxiliary of Mt. Bethel Fire Company will hold their 26th annual FALL Show November 29 from 9:00am to 3:00pm at the fire hall on Route 611 in Mt. Bethel. HANDCRAFTED ITEMS ONLY. Bake sale available. Kitchen will be open. Fore more information call 570-897-5308 or 570-234-6505. Everyone is welcome to join Holiday Tree Lighting ceremony in Portland November 30 at 7:00pm. Honorary Tree Lighter will be Walter Emery and he will joined by Mayor Prator and a holiday blessing from the local ministry. The Bangor High School select choir will sing holiday carols. Residents are welcome to enjoy hot cocoa and cookies. Remember no to decorate the tree with edible ornaments. Tickets are $5.00 or $5.00 at the door. December 2 at 11:30 a.m. , and December 18 at 3:30 p.m. The tours last approximately two hours. It’s Big….It’s Beautiful…It’s Christmas in Harrisburg! Join the Slate Belt Chamber of Commerce at the Pennsylvania Christmas & Gift Show (Pennsylvania Farm Show Complex) Wednesday, December 3. Christmas shop at the largest holiday show in the country-750 vendor booths with thousands of gifts affordably priced. See decorated trees, 100’ train display, choral and musical groups, dance troupes, Santa and children’s workshop and much more. Cost: $40.00 per person includes bus transportation & admission ticket. Send check payable to Slate Belt Chamber of Commerce, 187 Blue Valley Dr. Bangor, PA 18013 along with your name, address and phone number. They are asking that all attendees donate an unwrapped gift for the Slate Belt Toys for Children program. These toys will be donated to Slate Belt less fortunate children through the Slater Family Network & Families First. For your Holiday entertainment there will be a special performance by the Bangor High School Singers. The Jacobsburg Environmental Education Center will hold a holiday open house December 13. Please note that Bangor will be doing leaf vacuuming during the workweek from November 10th to November 26th. Please note that any leaf piles containing dog waste, stones, grass, or twigs will be passed over. Pen Argyl Borough leaf removal is underway. No leaves should be placed out for collection from 11/21/14-12/1/14 due to Thanksgiving Holiday and holiday light installation. Collection will resume on 12/2/2014 and continue through 12/05/14. Leaves will not be picked up if they have sticks, acorns or animal feces in the piles. Avoid putting leaves out 2 days before rain or foul weather, especially in the hilly areas of the Borough. During storms leaf piles can clog storm basins and cause water damage to streets and private property. Whenever possible, park away from leaf piles. Well, it’s that time again! In most North American homes, the count-down is on for the beginning of a new school year. It always gets me thinking about the great sampling of people we see in our dental office. From newborns to 90-somethings. Last week someone asked me the question, “looking in the mouths of many 40 and 50 year-olds, what could have been different if health was addressed when they were, say…15 years old? The answer is a resounding, a lot! We realize that we do have the opportunity and know-how to change the health future for today’s school kids. In the year 2014 we have the advantage of all the research, learning, and yes, mistakes that have been made by humans, to learn from. And what does that information say? Step in early (school age), and maximize every variable for success. 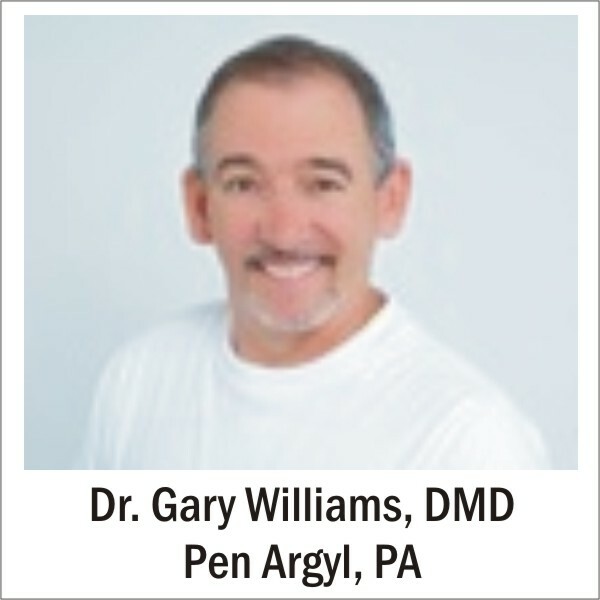 Dentistry knows how to achieve a successful long-term outcome. Once dentistry, parents and children comply; we can change the future of your family’s overall health, for the better. Call a Dental Professional today, and change your future. Pen Argyl is pleased to announce that they are participating in a battery recycling program. Madison Young, a freshman at Pen Argyl, decided to implement a battery recycling program in her community as her Girl Scout Silver Award Project. Madison has provided them with a battery recycling container. They will be accepting dry cell batteries: AA, AAA, C, D & 9 volt batteries. For safety purposes, please put a piece of masking tape over the end of each battery. Batteries are not garbage! In addition to the household batteries being recycled through Madison’s project, your are encouraged to participate in Northampton County’s Semi-Annual Household Hazardous Waste Drop-Off Events. Programs like this help make our community a better, safer place, and we encourage everyone to participate in this program for our community. Morning Stretch - Daily 9:15 A.M. Walking Club - Daily 9:30 A.M.
Card Making w/Wanda Monday, November 3, 9:30 A.M. Make your own Christmas cards. Monday, November 17 9:30 A.M.
Crafts & Chat - Tuesdays 9:00 A.M.
Zumba Gold w/Janis - Tuesdays 10:00 A.M.
Medicare Part D information - Wednesday, November 5, 10:15 A.M.
Brush Away with Senior Artists - Wednesdays 8:00-11:00 A.M.
Granny Squares 101 w/Donna - Thursday, November 6 and 20, 12:15 P.M. Baseball - Friday, November 7, 12:00 P.M.
AARP Meeting - Monday, November 10, 1:30 P.M.
Power of Positive Thinking - Wednesday, November 12, 10:15 A.M.
MUSIC WITH JIM HUMMEL - Thursday, November 13, 12:00-1:15 P.M.
Bean Bags - Wednesday, November 19, 9:30 A.M.
Council Meeting (officers) Thursday, November 20, 9:30 A.M. CRAFT SALE - Friday, November 21, 9-11 A.M. They will be accepting donations for our troops at home and overseas November 20-Dec1 call for a list of needed items. Membership in the local chapter is for persons 50 years of age ands older who hold membership in the national AARP. For tickets please call Dotty at 610-588-3306. Adult Fiction: Austen, Jane Pride and prejudice; Essex, Karen Dracula in love; Keohane, Daniel Margaret’s ark; Moning, Karen Marie Shadowfever. Adult Non-Fiction: The essential vegetarian cookbook; Meyer, Joyce Do yourself a favor-forgive. Young Adult Fiction: Chima, Cinda Williams The dragon heir; The warrior heir; The wizard heir; Flanagan, John The ruins of Gorlan; Paratore, Coleen Forget me not. Young Adult Non-Fiction: Bentley, James A calendar of saints; Weinreb, Michael Game of kings: a year among the geeks, oddballs, and geniuses who make up Americas top high school chess team. Junior Fiction: Abbot, Tony The battle begins; The ice dragon; Revenge of the Scorpion King; When monsters escape; Grace, N.B. high school musical 3; Margolis, Leslie Girls acting catty; Ogden, Charles High wire; Repchuk, Caroline Classic spooky stories; Weiss, Ellen Trip to the North Pole. Junior Non-Fiction: Galens, Judy The handy answer book for kids. Easy Reader Fiction: Seuss, Dr. I can read with my eyes shut. Easy Fiction: Brett, Jam Christmas trolls; Breathed, Berke A wish for wings that work; Sarah, Duchess of York Little Red’s Christmas story; Hopkins, John-Bryan The very best gift of all; Rose, Marion The Christmas tree fairy; Seuss, Dr. Horton hatches the egg; Tagg, Christine The very special valentine. DVDs: A Looney Tunes Christmas: Bah, humdick!.